Today’s car is a true engineering marvel. It’s more than just a ride; it’s a lifestyle, especially if you have an awesome car audio system that can literally turn heads when you’re cruising downtown. Many cars these days have good stock sound systems complete with all the rich tones that can make your ride more enjoyable. However, sometimes the sound quality is simply not as good as you’d hoped especially if you’ve rolled your windows down. Putting on any of the aftermarket products of the best car amp brands should help you get the car music listening experience you’ve been dreaming of. Technically, you don’t need a car amplifier because one is already installed in your car’s audio system, straight from the factory. You should understand that an amplifier is a device or a system that boosts the electrical signals that are supplied by your car’s stereo, also known as head unit, so that the sound that will be transmitted to the speakers are clear, crisp, and very rich in all the frequencies you’re looking for. Unfortunately, because of space limitations, many automobile manufacturers can only squeeze in just enough power into the built-in amplifier that the resulting acoustics may be less than satisfying. It is for this reason that aftermarket car amps flood the market simply because people want louder, crisper, clearer, and definitely more enjoyable music listening experience while taking their car for a ride. The good thing about aftermarket amplifiers is that you can customize them according to your needs and preferences. This also means that you can customize your speakers and even your head unit. Experts agree that no matter how excellent your amplifier and speakers can be, if your head unit is of low quality, then you really cannot expect a really wonderful experience listening to your favorite tunes. Nevertheless, it should create a substantial improvement in the overall experience. It should already be fairly obvious why you would want to install an external or aftermarket car amp. Nevertheless, let us share with you some of the benefits of getting one for your car. It gives you a much better music listening experience. One of the most common reasons why some cars simply cannot provide the music listening experience their owners expect is that they have underpowered speakers. Since amplifiers power up your car’s speakers as well, relying on a built-in amp can result to insufficient power reaching your speakers. This can lead to significantly lower sound volumes, lower quality of sound, and even sound distortions. Supplying an external car amp can take the weight off your head unit’s built-in amp and deliver the correct power to your speakers or even subwoofers. You’ll get higher volume levels and clearer, cleaner, and crisper sound quality without the annoying sound distortions. These are what you need for a really rich music listening experience. It allows you greater flexibility. Installing a multi-channel car amp can bring in a host of possibilities for your car and your music listening experience. It is particularly helpful should you decide later on to upgrade or even add extra components to your car’s audio system. These types of car amps can also serve as a bridge to allow you to double the power supplied to each of your speakers. And if you are thinking of installing a really cool subwoofer, then this particular setup will be very helpful. It is definitely more practical. Not all of us have new cars or can afford to buy them. Many still drive old legacy cars either for sentimental reasons or simply as a collector’s dream. Unfortunately, the audio systems of these cars are not really fit for today’s need for loud, lively, and really colorful music. Installing a car amp with state-of-the-art features like signal processing and equalizers can really breathe life into the audio components of an old car. This is one of the most practical ways to revitalize your car’s stereo without having to replace anything else. You can instantly recognize a Pioneer car amplifier even from a distance of 20 feet. It is their signature styling that actually endears them to their consumers. Pioneer is known for pushing the boundaries of design and technology especially in the creation of really sharp and powerful amplifiers. They’ve got one of the most ideal price ranges in all of the amplifiers – not too cheap, not too expensive. Depending on the number of channels, Pioneer models can be as low as $60 for the monoblock to as high as around $200 for a multichannel complete with various features. For really superb power to your subwoofer, you can try their GM-D8601 Class D Mono Amplifier with Wired Bass Boost Remote. For multi-channel car amp, we’d recommend the GM-D8604 Class FD 4-Channel Bridgeable Amplifier. 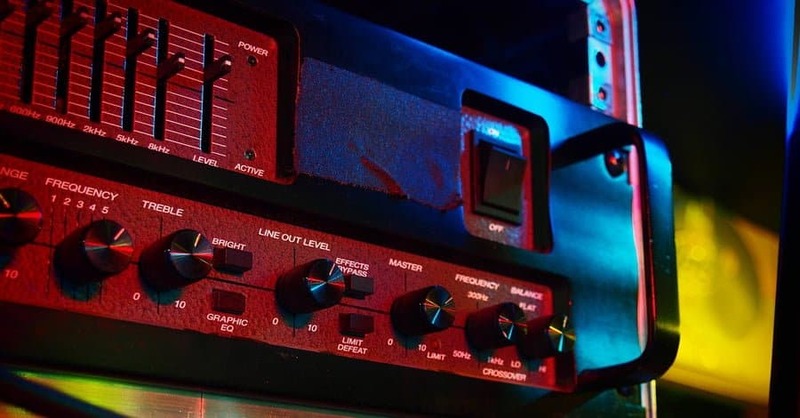 There’s plenty of reasons why the car amplifiers of JL Audio are ridiculously expensive, with the lowest at less than $200 and the most expensive topping in at a little less than $900. Check out their Slash Series 1200/1v3 Mono Subwoofer Car Amplifier 1200 watts RMS x 1 and you’ll understand why the company can put a hefty price tag for this monoblock. With a very sleek and unpretentious design, the real power of JL Audio amps is in their acoustic and electrical architecture where you can be assured of superb quality, clarity, and crispness of your audio. This is at the pinnacle of car amplifier technology and one that will never fail you if you should decide to enter your ride in a car audio competition. You need to check the XD600/6 600W 6-Channel Class D Amplifier and you’ll see what we mean. Some of the world’s major car manufacturers like BMW, Dodge, and Jaguar have partnered with Alpine to provide them with their car audio systems. And you know what this means. These automotive giants trust the sound quality that is a trademark of the Japanese electronics giant. Now, imagine how its aftermarket car audio amplifiers will fare if you put them into your car. The music listening experience will simply be phenomenal. Just like Pioneer, Alpine boasts of high performance features in their amps. It’s got several championships in its belt featuring some of the world’s best cars. Their minimalist design is also very admirable. Just look at their MRV-F300 4-Channel 50 watts RMS x 4 or even their MRV-M500 Mono V-Power Digital Amplifier. You’ll think it’s a very simple black box with a blue square in the middle. But the true strength of the Alpine is in superior audio technology that leading car manufacturers have come to trust. It would be grave injustice not to include Rockford Fosgate in our list of the best car amp brands. Well, the modern car audio amplifier was invented by Jim Fosgate in 1973 although the very first audio amplifier was actually invented by Lee De Forest in 1909 with a simple triode vacuum tube. You can say we owe our music listening experiences to Fosgate as the car amplifier of the 1970s has clearly come a long way. As such, when it comes to sound quality and engineering ingenuity, you can depend on Rockford Fosgate to deliver you a car audio experience unlike anything you’ve ever heard before. The good thing about Rockford Fosgate is that its superior quality is very affordable so you can install a piece of history with superb engineering to your car without breaking your bank. For example, their bestseller, the R500X1D Prime 1-Channel Class D Amplifier can be had for just over $100 while their PBR300X4 Punch BRT 300-Watt Ultra Compact 4-Channel Amplifier is just over $150. In fact, we’d bet one of your friends has a Kenwood audio component in his vehicle or even at home. This brand is a typical Japanese electronics stalwart that is clearly ahead of the pack in many respects. Like Alpine, it has also been featured in numerous car audio shows and competitions. It’s best known for its simple yet ultra-futuristic designs of its amps. It has robust features and one of the best audio performances you can ever expect from a $150-$250 price range of car audio amps. Try the KAC-9105D 1800-Watt Class D Mono Amplifier for your subwoofer and the KAC-M1804 Compact 4-Channel Amplifier for all your other speakers. GarageChief would like to reiterate that our list is not comprehensive as there is a multitude of truly superb car amps in the market today. However, we did try to provide you with what we think you should include in your car.